1.1.5 the failure of the Deans to elect three of their number as members or to notify the Secretaries of the Governing Body of the result of such election, or the failure of the President to exercise his power of nomination, shall not prevent the Governing Body proceeding with the despatch of business nor invalidate its proceedings. 1.2 The Deans elected shall hold office for a term of three years and shall be eligible for re-election. 2.1 The Archdeacons nominated by their Diocesan Bishops in accordance with Chapter II section 3(c) shall hold office for a term of three years and shall be eligible for renomination for further terms. 2.2 The failure of a Diocesan Bishop to nominate an Archdeacon in accordance with Chapter II section 3(c) shall not prevent the Governing Body proceeding with despatch of business nor invalidate its proceedings. Unless they are already ex-officio members of the Governing Body under some other provision of the Constitution, the Chairman and Deputy Chairman of the Representative Body shall be ex-officio members of the Governing Body. 4.1.2 twelve lay persons of whom at least six shall be under the age of thirty years at the time of their co-option. 4.2 Any casual vacancy created by the resignation, expulsion, disqualification or death of a co-opted member, shall be filled by the Governing Body co-opting a person who shall possess qualifications for membership similar to those possessed by the member in whose place such person is co-opted. 5.1.2 may form electoral districts from archdeaconries, area deaneries or parishes and may apportion the number of representatives to be elected from each such district. 5.2 The Diocesan Conference shall make supplemental lists of Clerics and lay persons from which casual vacancies shall be filled according to the order in which they are placed on such lists by the Conference. 5.3 Each election and the making of such lists shall be held and made respectively in time to enable the newly elected members to take office immediately on the expiration of the term of office of the members then retiring, and the Governing Body shall make due provision for such purposes. 5.4 In the event of the death, removal or disqualification of any elected member his or her place shall be filled from the appropriate supplemental list of members of the diocese for which such member sat. 6. In the event of any change taking place in the representation of a diocese on the Governing Body, the Bishop of such diocese shall cause the same to be notified to the Secretaries of the Governing Body. 8.  Any member of the Governing Body who joins a religious body which is not in communion with the Church in Wales and any ex-officio member of the Governing Body who ceases to hold the office in respect of which he or she became a member shall thereupon cease to be a member of the Governing Body. 9.1 The membership of an elected or co-opted member of the Governing Body who is a lay person shall cease on his or her seventy-fifth birthday and the membership of an elected or co-opted member of the Governing Body who is a Cleric shall cease upon retirement or upon reaching his or her seventieth birthday whichever is the earlier, save that if such retirement or birthday occurs during the currency of a meeting of the Governing Body or any committee thereof his or her membership shall continue nevertheless until the termination of such meeting. A meeting at any time adjourned beyond the then following next day shall be deemed to be terminated for the purpose of this regulation. 9.2 Where a person, in order to hold some office, is required to be “qualified to be a member of the Governing Body”, the fact that such person is over seventy-five years of age if that person is a lay person or the fact that such person is over seventy years of age if that person is a Cleric shall not preclude him or her from holding such office. 9.3 Paragraph 9.1 shall not apply to ex-officio members. 10.1 A clerical member of the Governing Body, elected for the diocese in which he or she was then serving, shall continue a member only whilst serving or residing in such diocese. 10.2 A lay member of the Governing Body elected for the diocese in which he or she was then residing, shall continue a member only whilst residing in such diocese, save that this paragraph shall not apply to one holding diocesan office, or whose name is on the electoral roll of a parish in such diocese. 11. Subject to the respective provisions of Regulations 4, 9.1 and 10, every person elected or co-opted to membership of the Governing Body shall hold office for a term of three years. 12. Subject to compliance with the requirements of Regulation 4, 9.1 and 10 as the case may be, a person appointed to fill a casual vacancy among the elected or co-opted members shall hold office until the date when the member whom such person replaces would have been due to retire apart from the provisions of those respective regulations. 13. On 3lst December in every year one third of the members elected by each diocese and one third of the co-opted members shall retire, and in their stead like numbers of members shall be elected by each diocese and co-opted by the Governing Body, provided always that a Cleric shall be elected or co-opted to succeed a Cleric and a lay person to succeed a lay person. 14. Any elected member may, by notice in writing addressed to the Bishop of the diocese for which such member has been elected, resign his or her seat on the Governing Body, and on receipt by the Bishop of such resignation the seat of such member shall become vacant and his or her place shall be filled from the appropriate supplemental list of members of such diocese. 15. Any co-opted member may, by notice in writing addressed to the Secretaries of the Governing Body, resign his or her seat on the Governing Body. 16.1 All meetings of the Governing Body shall be convened in the name and by the authority of the President, who shall deliver his mandate to the Secretaries of the Governing Body to summon by citation the Governing Body for the time and to the place fixed by the Governing Body, the Standing Committee thereof or the President, as the case may be. 16.2 At the opening of every meeting the Secretaries shall certify the due execution of the mandate. 17.2 a person chosen by the President or, in his absence, by the Diocesan Bishop next in order of precedence and present, from a panel of Chairmen approved by the Governing Body. 18. There shall be at least one ordinary meeting of the Governing Body in every year at such time and place as shall from time to time be prescribed by the Governing Body. 19. The Standing Committee shall have power to alter the time and place fixed for the next meeting of the Governing Body and to substitute another time and place. 20. The Secretaries of the Governing Body shall, immediately following the last ordinary meeting of the Governing Body in each year and before each election of members of the Governing Body by the Diocesan Conference in accordance with Chapter II sections 3 and 4 send to the Secretary of each Diocesan Conference a list of the attendances of the members representing the diocese at meetings of the Governing Body since their election. 21. The Secretary of each Diocesan Conference within one week after an election shall return to the Secretaries of the Governing Body the names and addresses of all elected members together with the names and addresses of all persons who have been placed on the supplemental lists of members. 22. In the event of any member having been elected for more than one diocese, the Secretaries of the Governing Body shall give notice in writing to such member, calling on him or her to signify in writing within twenty one days his or her choice of the diocese for which he or she will serve. In the event of such member failing so to signify his or her choice, the President shall choose the diocese for which he or she shall serve, and thereupon the seat or seats of such member for any other diocese or dioceses for which he or she shall have been elected shall be filled up from the appropriate supplemental list of members of such diocese or dioceses. 23.1 Seven weeks before an ordinary meeting of the Governing Body, the Secretaries shall send the President’s citation in writing to each member thereof to attend the same at the given time and place. 23.2 Any member or members desirous of proposing a motion at such meeting shall, except by special leave of the Governing Body, give notice thereof, together with the name of a member who has agreed to second such motion, to the Secretaries not later than five weeks before the commencement of the meeting. 23.3 An agenda for an ordinary meeting of the Governing Body shall be sent to each member thereof fourteen days before the commencement of such meeting. 24. The Secretaries of the Governing Body shall attend every meeting thereof, and shall keep minutes of its proceedings, receive notices of proposed bills, and notices of motion and other business, and shall prepare the agenda for the meetings, according to the instructions of the President. 25. The President shall, with the advice of the Standing Committee, decide the order of entering upon the agenda for any ordinary meeting business which he desires to bring before the Governing Body or of which notice has been received from members, and he may assign any such business to a particular day of the session. 26.2 the Chairman shall have power to appoint assessors, if he or she thinks fit. 27.2 adjourn the Governing Body generally in order that the President may decide upon the future conduct of the meeting. If the Governing Body is adjourned as aforesaid, the President shall subsequently determine that it stand adjourned either to a day (not being less than seven weeks later) and place fixed by him, which shall be notified to the members of the Governing Body in the manner prescribed in Regulation 23, or without day, as he thinks fit. 28. Any question relating only to standing orders or the conduct of business shall be decided by a majority of the Governing Body. The Chairman of the meeting shall decide whether any particular question falls within this Regulation. 29. Any question within the meaning of the last Regulation may be brought forward by any member on notice of motion in writing, handed in during the meeting to the Chairman. 30.1 The President may at his own discretion and shall at the request in writing of any Diocesan Bishop, or at the request in writing signed by not less than one third of the clerical and of the lay members of the Governing Body, deliver his mandate to the Secretaries of the Governing Body to summon by citation a special meeting of the Governing Body for any stated purpose. 30.2 Such special meeting shall be held upon a day not earlier than the fourteenth day from the date of the issue of such mandate and in such place as the President may determine. 30.3 The citation to such special meeting shall state the business to be transacted thereat, and shall be sent to all members at least seven days before the day fixed for holding the same. 31. No business shall be transacted at any special meeting other than that stated in the notice convening the same, but the procedure and powers of a special meeting shall be the same as the procedure and powers of an ordinary meeting of the Governing Body. 32. After the conclusion of the business of the Governing Body, the proceedings and minutes shall be authenticated by the signature of the Chairman. 33.1 At the meeting of the Governing Body held next after the election and accession of the Archbishop, the senior Diocesan Bishop present and willing to act shall take the chair and shall call upon one of the Secretaries to produce and read the document notifying the election and accession of the Archbishop. 33.2 After the reading of such document the Archbishop shall take the chair and shall say prayers, including the Lord’s Prayer and the Apostles’ Creed. 33.3 At the conclusion of prayers the Archbishop shall proceed with the business of the Governing Body. 34.1 The Governing Body triennially shall appoint a Standing Committee of its members. 34.2.4 such persons (not exceeding two in number) as the Standing Committee may decide to co-opt. 34.3 Any casual vacancy among the two members from each diocese shall be filled by the Diocesan Bishop. 34.4 At the first meeting during each triennial period, and as necessary following any vacancy in either office, the Standing Committee shall elect a Chairman and Vice-Chairman from among its members. Thereafter, in the event of the absence of the Chairman and the Vice-Chairman from any meeting, the Standing Committee shall appoint another member to preside at that meeting. 35.1 The Standing Committee shall meet at least three times in every year and may also be convened and consulted by the President if and when he thinks fit. 35.2 The Secretaries of the Governing Body shall be the Secretaries of the Standing Committee and shall attend and keep the minutes of every meeting of the Standing Committee. 35.3 The Secretary of the Representative Body shall attend every meeting of the Standing Committee and may speak but not vote. 36.1.3 the approval of budgets prepared by the Representative Body. 36.2 The Standing Committee shall have power to make regulations for the Church in Wales in accordance with the procedure for making regulations determined from time to time by the Governing Body. 36.3 Subject to the overall control of the Governing Body and to the provisions of this paragraph and of paragraphs 36.4 and 36.5, the Committee shall have the power to regulate its own procedures, including the appointment of working groups and sub-committees of its members, and the Committee may, from time to time and as it deems fit, co-opt any person or persons to serve on such working group or sub-committee. 36.4 The Standing Committee shall appoint a Business Sub-Committee, whose members shall be the President of the Governing Body, the Chairman of the Standing Committee, three clerics elected by the Standing Committee from among its members and three lay members elected by the Standing Committee from among its members. The Chairmen of any Commissions or Sub-Committees of the Standing Committee shall be invited to attend meetings of the Sub-Committee when business involving the work of such Commission or Sub-Committee is to be discussed, and they may speak at such meeting but not vote. 36.5 The Standing Committee shall appoint under the provisions of paragraph 36.3 an Appointments Sub-Committee, a Drafting Sub-Committee and the Chairman of a Legal Sub-Committee who shall appoint the other members of that Sub-Committee in consultation with the Chairman of the Standing Committee when occasion so requires. 37.1 The Standing Committee shall cause the proceedings and minutes of the Governing Body to be duly recorded and shall cause such parts of the same as shall be ordered, or which they think ought to be published, to be printed in English and Welsh, for the general use of the Church in Wales. 37.2 The Standing Committee may authorise the Secretaries of the Governing Body to supply to any person a copy of any part of the English or Welsh versions of the Constitution on such terms as they shall think fit. 37.3.1 The Standing Committee shall have power to incur any expense reasonably necessary to carry out the duties hereby or by any future regulation of the Governing Body entrusted to or imposed upon them. 37.3.2 The members of the Standing Committee shall be indemnified by the Representative Body against any expense so incurred. 37.4 The Standing Committee shall make all necessary arrangements for the safe keeping of the books and documents, and all other such property of the Governing Body. 38. The Governing Body shall have power to appoint other committees of its members, and to make rules and regulations for the powers of and the procedure to be followed by any committee, provided that all acts and decisions of any such committee, unless previously authorised, must be ratified and confirmed by the Governing Body before becoming valid. 39. Except as herein expressly provided, if any member of a committee shall cease to be a member of the Governing Body such member shall be deemed thereupon to have vacated his or her place on the said committee, and such place may be filled by the Standing Committee, and any member so appointed shall act until the next meeting of the Governing Body.